Welcome to the 2017 DRR Ultimate Series presented by American Race Cars. We hope to see you in Huntsville, Alabama this year. 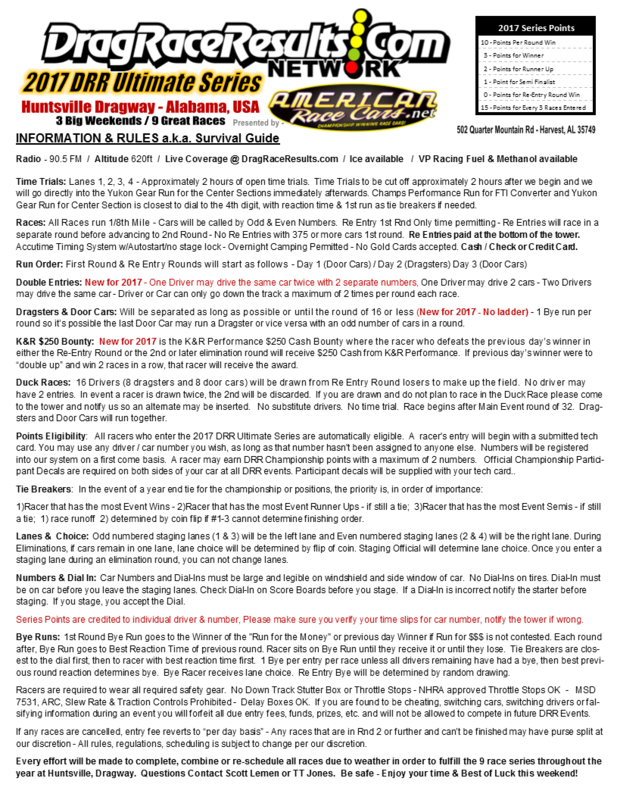 DRR, American Race Cars and Huntsville Dragway return in 2017 bringing you “MORE THAN JUST A RACE”, a 3 Weekend / 9 Race Bracket Racing Series that overall pays out more for 1 Class than any Sportsman Drag Racing Series in the country! 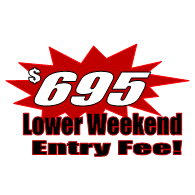 New for 2017 is a lower $695 Weekend Entry, Same Car Double Entries Allowed, No Ladder and a Warm-Up Race on Thrusday's presented by Champ's Performance and FTI Performance. 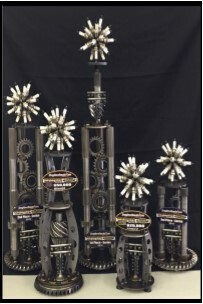 We know you have many options, that is why we have partnered with many extraordinary manufacturers and with their help have put together the JEGS Championship Points Fund which includes over $125,000 of points fund prizes and payouts.